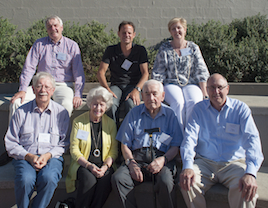 Life Membership of Kiama Alpine Club is an honour that has been awarded to 18 members throughout the Club’s history. Each one has made a significant contribution to the success of our Club. An introduction is included below. According to our Club Rules, to be eligible for nomination for election of life membership, a member must in the opinion of the Board, have rendered exceptional services to the Kiama Alpine Club for at least 10 years. Must have contributed at least 10 years’ service to the Club - resulting in the Club being substantially, demonstrably and positively changed by that contribution. A Life Member of Kiama Alpine Club is a fully financial member of the Club for Life - all annual subscriptions and capital levies are waived and Life Members continue to receive all benefits of membership including discounted accommodation rates at the Lodge. The Club currently has 8 Life Members (maximum permitted is 10) who have all contributed substantially to our Club. 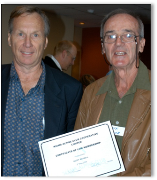 From Left: Alan Fredericks with Ron Wynn in 2002, Chas Keys with Geoff Boxsell in 2008 and Alan Fredericks with Val Wynn in 2008. 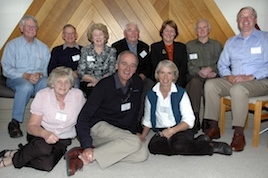 Kiama Alpine Club Life Members attending the 2012 Special General meeting.